Civilization is the printed word. This is because printed literature, both fiction and non-fiction, not only spread knowledge more easily and readily to the masses, but it also makes political and societal governance more easily to achieve as well. Imagine if your local government was attempting to send you a notice through verbal message or if you had to file your taxes all through hand-written documents. What if the messanger got the message wrong, or the writer of your tax documents made a mistake or left something out? The level of literacy in your nation would probably be much lower than it is today as well. Organized society as we know it would not be possible. The fact that civilization has progressed to the point it has today, with me typing this essay on a computer, is largely thanks to the organized printing of words centuries ago. The following is a history of moveable print from its beginnings in Asia to the beginning of Moveable Type in Europe. The first instance of printing in any form appeared centuries ago in Asia. This was block printing. 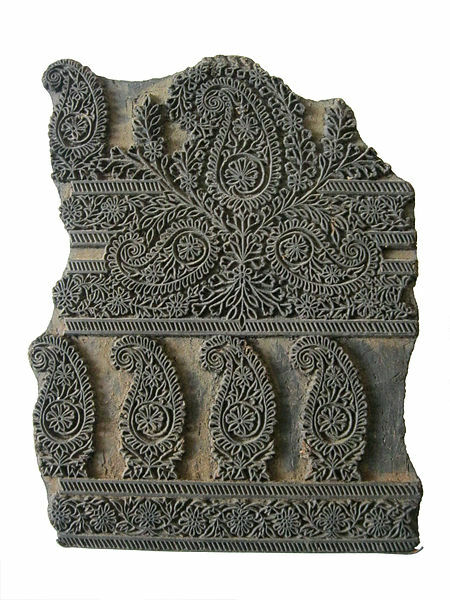 This is where a wood block with a letter, image, or pattern carved in its face is covered in ink and pressed on to cloth or paper (an example of a woodblock used for making patterns can be seen above). The first instance of this form of printing first appeared in Korea during the Silla Kingdom. 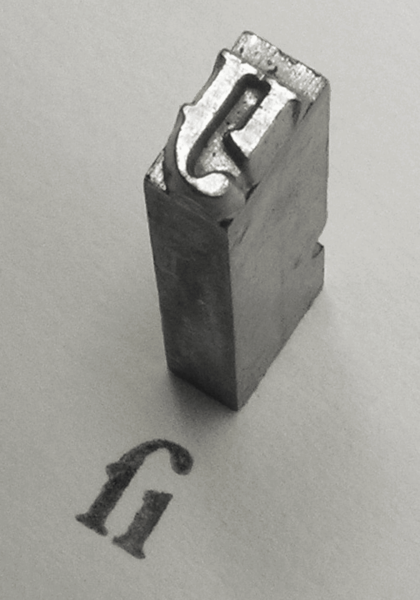 Movable type, which is the process of using movable metal components, each with a letter or grammar mark to create an entire document was first used in China around the year 1040. It’s inventor, believed to be Bi Sheng, used porcelain components rather than metal. Unfortunately, China never took complete advantage of this process. This is most likely due the exceptionally large Chinese Alphabet. This process was also developed in Europe around 1439. 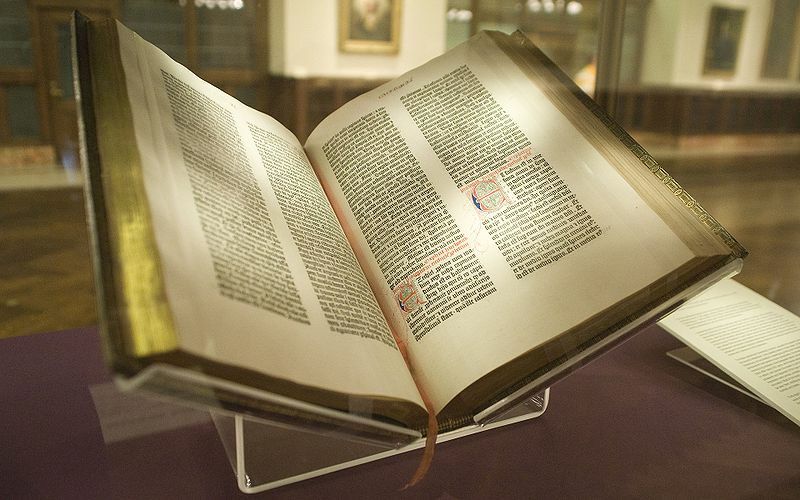 It’s inventor is believed to be the famous Johannes Gutenberg, creator of the famous Gutenberg Bible (of which one can bee seen above), however claims that he was not the first have arisen over the years, in some cases with evidence supporting the claims. This process was fully utilized by the Europeans and helped to begin the Renaissance. From the invention and adequate use of movable print in Europe printing literally took off and became widely used across the continent. When colonies were established in the New World across the sea printing presses followed the thousands of colonists on their journeys. The importance of printing cannot be understated. The use of movable print was absolutely necessary to the success of the American Revolution as pamphlets in support of the revolution were able to be printed en mass to garner support from the revolutionaries. Without the printing press the common citizen would have never heard the words of Thomas Paine and other famous revolutionaries. The world we know today would be impossible without moveable print. Without it we would not be able to spread different ideas as easily and our collective worldview would have a much smaller horizon than we do today. Indeed, the world we would know would be more akin to what was had in the Middle Ages with only a select few being able to read. Our world would have barely advanced and we would still be fighting wars on the backs of horses, and the height of architecture would be fortress castles that we would cower behind in our ignorance. Indeed we have a better world with moveable print. Iran, Afghanistan, China, the Catholic Church, and the Tea Party and its supporters are all constantly in the news. With Iran it’s because of a theocracy building nuclear weapons. In Afghanistan it’s the US’s continuing police action there. China is has become an free market super power despite the pictures of Chairman Mao on the currency. The Catholic Church elected a new Pope, continuing a tradition that goes back thousands of years. The supporters of Free Market Capitalism and preach the glories of the individual continue to fight “leftist” policies. While we deal with all these situations it is easy to forget how we came to this point in history. Why is Iran a theocracy? Why is Afghanistan a failed state? How is China, a self proclaimed Socialist state, a Free Market power house? These questions and more can probably not be easily answered by most people today. Author Christian Caryl attempts to answer these questions as well as stress the importance of those answers in regards to the political make-up of the present time. He argues that the year 1979 was the political turning point that eventually led to the problems that we are dealing with today. Mr. Caryl notes the year 1979 as very important due to the fact that it was the year that many conservative free market or religious upheavals took place. This is the year that the Shah in Iran was overthrown and replaced with the religious rule of Ayatollah Khomeini. This is the year that Afghan rebels, the Mujahideen, fought back against a Soviet Puppet Government which gave way to the Soviet Union’s own terrible version of Vietnam. Deng Xiaoping became the head of the Politburo of the Chinese Communist Party and began massive economic reforms that would open China to the world market. At this time a Polish cardinal was elected to the highest office of the Holy Roman Church and began his peaceful crusade against the Communist State that held his country in chains. This was also the year that, in the UK a Labour Government was overthrown and an Iron Lady from the Conservative Party was asked by the Queen to start her own government at 10 Downing Street. This book explains each of these events in a very detailed, but simple manner. This book can be enjoyed by both history buffs as well as someone who isn’t that into the genre. It explains the background of each event as well as the events that led to the massive changes that swept the nations involved. I must confess, however, that I was saddened at how much more attention was paid to the Islamic Revolutions in Iran and Afghanistan compared to the rise of Margaret Thatcher, Deng Xiaoping and John Paul II. Despite this, I believe that his coverage of Iran and Afghanistan was quite well done. It was definitely a learning experience reading about the event that led to the Soviet Intervention in Afghanistan. Also through this book that despite the set backs Western Forces are facing in Afghanistan at the present that we have been much more successful there than the Soviets ever hoped to be. I eagerly suggest this book to whoever wishes to study the Conservative upswing of the last few years. 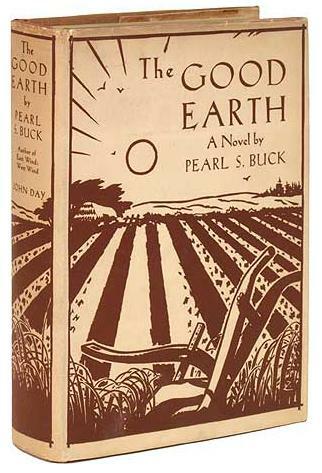 To start off, this is one of the more troubling books I have ever read. I did not realize this until after I had finished it and had time to contemplate what I had read. This book is the memoir of Chairman Mao’s private physician, Doctor Li Zhisui. Chairman Mao Zedong, as you all may know was the supreme leader of the People’s Republic of China (PRC) from its founding in 1949 till his death in 1976. Dr. Li describes the personal vices of Mao as well as the horrific court intrigues that took place around him. His story paints a picture of decadence and hypocrisy that has become the hallmark of not only Communist Regimes, but of any dictatorship. Of course this book is not without its own controversy. Many claims have been made to the effect that some of the events portrayed in the story are exaggerated or outright lies. These claims have been leveled more at the publisher of the book rather than the Dr. Li as it is believed that they wanted a more sensationalized story to attract buyers. For the most part I don’t think much was lied about. I think the only instance of exaggeration was a description that towards the end of Mao’s life he liked to get full body massages from soldiers that ended in a very undignified capacity. Everything else mentioned I’m inclined to believe as they have precedent in other Communist countries.For example, it is described how mao has villa’s constructed for him all across China. At these villas nightly parties are held and “dancers” would retire with Mao at the end of the night. The villas are luxuriously appointed. 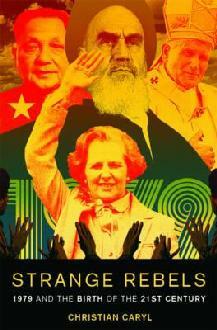 Mao was not living the egalitarian life style that he often preached. I believe this was true. This is because the official residence of much the Communist Leadership continues to be an area of Beijing known as Zhongnanhai (wikipedia article: http://en.wikipedia.org/wiki/Zhongnanhai). During the long dead Chinese Monarchy, Zhongnanhai was a branch of the Forbidden City Palace Complex and contains many palatial buildings as well as a major artificial lake. How can you still be a communist while still living in a Palace? If you can answer that question you may wish to tell Nicolae Ceaușescu. The book begins with Dr. Li’s return to China after a period of time working as a doctor in Oceania. He falls in with the upper Communist Party through a family member who holds a mid-level position in the party. 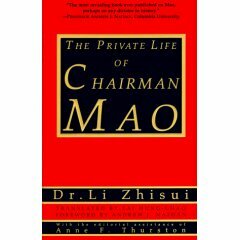 Eventually the upper echelons of the Party take notice of Dr. Li and he eventually comes to be Mao’s personal physician. At first Dr. Li is a great admirer of Mao and his beliefs, but as the years go by and Dr. Li sees how decadent Mao and his compatriots are as well as the numerous power struggles that lead to both the Great Leap Forward and the Cultural Revolution, along with Mao’s cult of personality, he becomes disillusioned with with not only Mao, but the entire system. OVer his years with Mao, Dr. Li also witness many people around Mao be exiled to prison camps are well as to live in the countryside with Chinese peasants. Reasons for exile or worse were often for overblown charges of treason or revisionist thought. Other’s disappeared because of minor disagreements with Mao or his wife, Jiang Qing. For exceptional periods of time Dr. Li is forced to travel the country with Mao or to live with him in private complexes which results in him missing much of his family life. Much infom was also given on Jiang Qing. This is because she had numerous mental problems. For example she was a hypochondriac and would often claim extreme sensitivity to both low and bright light as well as loud noise. It is also mentioned how she had extreme abandonment issues and constantly worried about Mao leaving her. While this may make her seem to be a person who deserves sympathy, she is one of the more terrible villains in the memoir. She would often start fights with and cause trouble for her staff. Towards the end of the memoir it is shown that she becomes a major player in the PRC government and is one of the main catalysts for the Cultural Revolution which resulted in the deaths of many and the destruction of many priceless historical treasures. The end of the memoir concludes just after Mao’s death from Lou Gehrig’s Disease. His wife makes a play for power which fails and results in the famous Gang of Four Incident. After this for a time Dr. Li is sent into exile to live as a peasant for a year and a half. After this he becomes the president of a major medical hospital in Beijing. Eventually he immigrates to the US shortly before his wife’s death in the late 80s. This statement left me with an overwhelming sense of pity and sadness for Dr. Li.